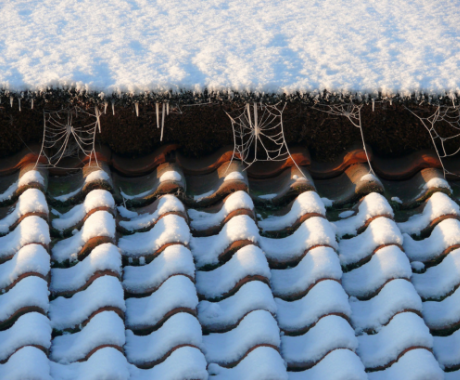 Winter is fast approaching which means it’s important to make sure your roof is ready for the cold season. Your roof is very important and maintaining it is worthwhile to save yourself issues in the future. There are a number of checks that should be performed to ensure it remains leak free, and action needs to be taken to prevent problems from getting worse. Clearing your guttering is a crucial task when ensuring your roof will be durable throughout the winter months. You should make sure they are clear of any debris; fallen leaves and other matter are likely to clog up your gutters if left unattended to, resulting in overflow. Regularly clearing your gutters means rain water will be able to flow freely off the roof surface rather than dripping down the walls or falling directly onto the ground below. Leaf debris can also block up the downpipe. There is normally a drainage gully at the end of the downpipe connected to the guttering, where debris could end up and in severe cases block the entire downpipe. Depending on the size of your property, there are likely to be at least 2 downpipes which need to be inspected and cleared at least once a year. Whilst clearing your gutters, you’ll have a chance to closely check the condition of the tiling on your roof. You should make sure there are no tiles that are loose. If tiles are loose they have a risk of falling which is a safety hazard; loose and cracked tiles can also result in water damage whereby water can seep in the cracks and drip through the roof. 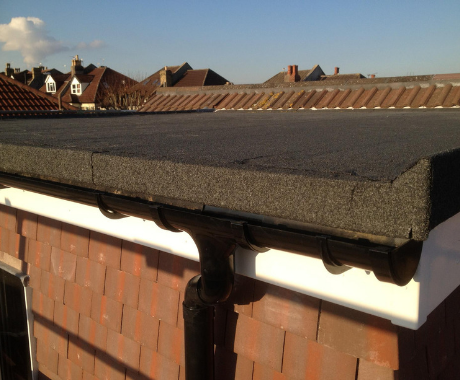 A specialist roof repair company will be able to help you if you find there are tiles that require replacement or any other repairs that need to be undertaken. Looking for missing and cracked tiles on a regular basis can prevent problems in the future, such as those caused by water penetration. It is important to make sure that your roof is robust and strong so it will cope during the winter months, when there is the likelihood of extra weight on the roof due to snow and ice. If there has been a heavy snow recently, or a cold snap leading to thick ice, this should be cleared from the roof as a precautionary measure. Roofs are continually moving, and flashing material used to abut the roof to a wall will need to be flexible to allow for this. Heat from sunlight, or wind damage can lead to deterioration in the flashing material over time. Missing or damaged flashing is a common source of water penetration in roofs. A professional roofing company will be able to check this and restore or replace the flashing on your roof if necessary. 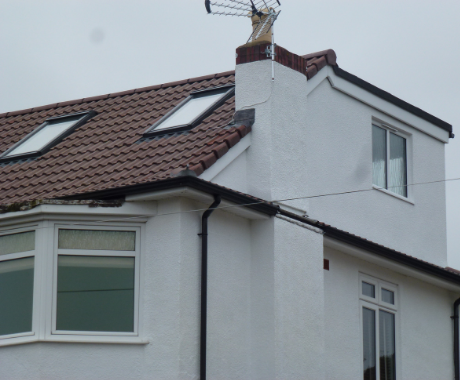 Not only will insulating your roof mean a warm house and reduced energy bills, it will also help to protect your roof. When your ceiling is cold, it is more susceptible to mould, leaks and other damaging factors. Your loft should be properly insulated to ensure optimal roof health. If you do not carry out these simple checks, and problems go unnoticed for several years, you could end up facing much larger bills in the future. Therefore, by regularly checking your roof, clearing your gutters and replacing tiles that are damaged you will be less likely to be confronted by problems and expenses in the future. The roof of a house is probably the most important part of the building and should be the highest priority when building maintenance is carried out. There is no point spending money on internal refurbishment, which will quickly deteriorate if you do not have a sound roof. By carrying out simple inspections you can avoid costly future bills, and in the long term, increase the length of life of your roof. A tried and tested way to reduce the risk of roof related problems this winter is to have a roof inspection by a competent roofing specialist. This will give you the peace of mind that your roof has been approved by a professional. Contact the experts at MPK Lofts for all of your roofing needs, or get in touch about other construction work for your home; we have been providing first class loft conversions, garage conversions and extensions in the Bristol and Bath region for over 25 years.